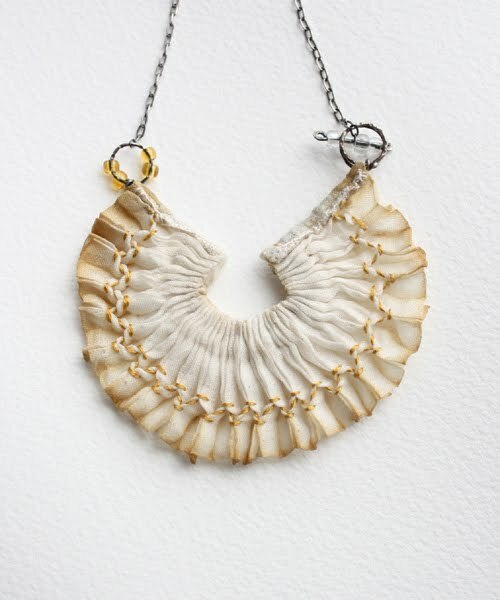 Self-taught textile artist Eva makes beautiful delicate creations from vintage silks or hand dyed materials. Born in the Czech Republic, she now calls the UK home. Eva draws her inspiration from "the intricate needlework seen on historic textiles, geometric patterns in nature, variation and repetition, romance and fairytales." This necklace above is made from silk dyed apricot colour with hawthorn berries. It is smocked with matching thread to emphasize the texture. Size: the silk measures 8 cm (3 1/4 inches) across and the necklace is 50 cm (19 3/4 inches) long. On sale, now £62, here. Queen Bee. Sold out. 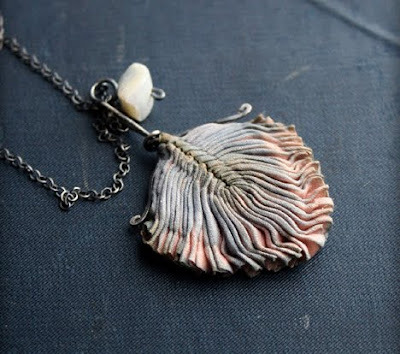 Colourful feather necklace made from silk dyed with madder and over-dyed with indigo and tea. It is light pink with bluish purple on top of the pleats and hints of apricot and green in places. 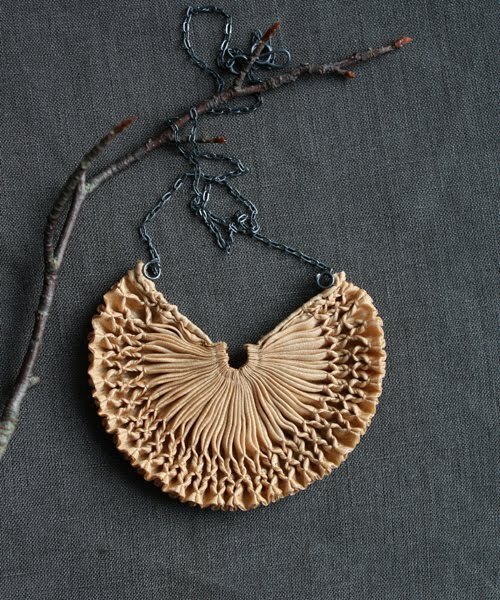 Size: the pendant is 5 cm (2 inches) long and 3.5 cm (1 1/4 inches) wide, available here. Visit her website or shop.